Raellarina is Philippines Best Blog of the Year (2016)! Thank you all so much! The aim of the Philippine Bloggers Awards 2016 is to recognize the contribution of Filipino bloggers around the globe who help in creating a better change. "The bloggers had undergone different phases to determine their dedication and passion in maintaining and promoting their own blogs. Hundreds of blogs have been registered but only a few stand still until the 35 blog finalists have been named. 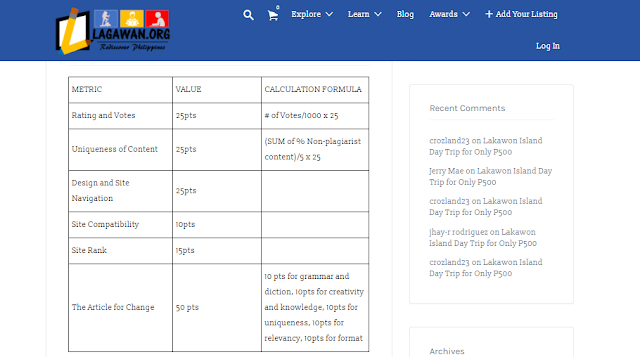 They tracked these blogs to determine and count unique and total page views and they rank them up based on the results. The finalists need to gather as many votes as they can have to check their social standing. Our technical evaluator had also checked each website’s user-friendliness by checking its lay-out and device adaptability. And finally, each finalist will have to write a blog post about how they understand blogging and the role of blogging to the society." 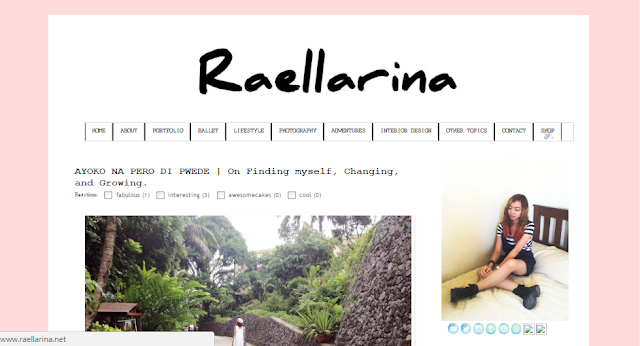 This was the blog post that I submitted: "AYOKO NA PERO DI PWEDE | On Finding myself, Changing, and Growing." To be honest, I was very hesitant to click that orange "publish" button on blogspot at first because I know that once I click it it, there's no going back and people would stumble upon it. And upon stumbling upon it, I might be judged. True enough, after clicking that "publish" button and after a few minutes, concerned loved ones started messaging me. Well you see, here's the thing, I was going through a very hard phase that time (and boi oh boi, the phase is still not yet done),so I wrote what my heart shouts to lessen the burden. The intention of this particular article wasn't merely just a blog entry for the contest but rather, a self-expression. Weirdly though, the amount of support I got from writing this was insane. I felt so loved. It was a very personal article which I've decided to share with the world as to inspire those going through the same thing as me. But it felt so good to let out all my thoughts and feels not knowing that there are those going through almost the exact same thing and I've been told that I inspire them to keep moving forward in life which is weird because they actually are the ones who inspire me to keep moving forward in life. That said, I'd just like to take this opportunity to thank each and everyone of you who supported me all throughout. I did not campaign enough here on the blog as much as I should though but I was campaigning on facebook. Anyway, I think I have to give my mom a star because she was the one working so hard to gather as much votes as she can for me and my blog so I could earn the top spot in that metric. Thank you mommy!! 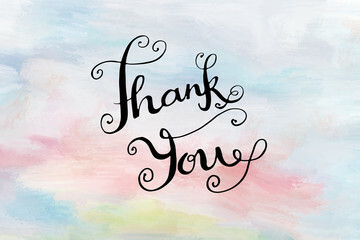 :) Secondly, I'd just like to thank everyone whom I bothered to vote and like my blog. You wasting a few minutes of your life just to vote means so much to me! I love you guys soooo much! 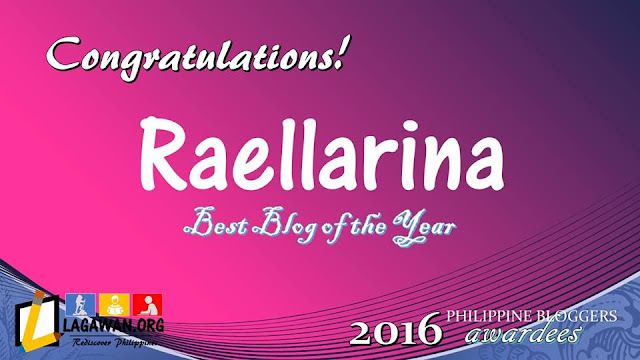 My blog got an average score of 79.73% which made Raellarina the Philippines best blog of the year! To see the article and/or you want to see the other awardees, you can visit this or this for the photos on facebook.